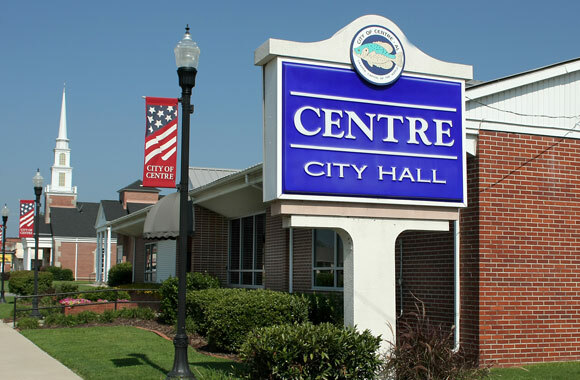 During the Centre City Council meeting on Tuesday, the council voted to take $500,000 from the city’s $1.5 million reserve in order to complete some projects that have needed attention for quite some time. Mayor Tony Wilkie said that there is nobody that has been against dipping into the city’s reserve more than him but said that there are some big projects that the city needs to deal with in order to make sure the streets and sanitation department can perform their duties, the police department building roof gets repaired and renovations at the city park get completed. As part of that, the council unanimously voted to purchase a new backhoe at a cost of $99,852 and a new dump truck at a cost of $78,500. Both items will be purchased from the state bid list. The roofing project at the police department building will be $125,658 with the lowest bidder being GKL Companies. The bid was approved by LADD Engineering and met project specifications. Also approved was the purchase of a lighted sign outside the police department in addition of an awning on the building. Those projects will be paid for with monies derived from the sale of surplus police department property. The council received reports from Fire Chief Jeremy Lee, Police Chief Kirk Blankenship, Parks & Recreation Director Charles Glazner and Streets & Sanitation’s Director Bobby Paul. Building Inspector Raymond Matthews said that following attention by the local media, the city’s campaign to condemn dilapidated houses and property is now in full swing. In Matthew’s report presented by Mayor Pro-Tem Bess Yarbrough, he said that he has received numerous phone calls from property owners asking questions about certain properties they own which might be on the condemned list, which will result in the city not having to pay for the demolition. The council also approved step raises for three employees; Dewey Reynolds, Raymond Matthews and Randy Mayorga. The council also agreed to administer a step raise to the city prosecutor at a rate of $50 per hour.